feminist studies on menstruation, ‘The Wise Wound’, and its sequel, ‘Alchemy for Women’. “For me it is the way the poem breathes that gives it form"
framing questions than arriving at answers. exhibition, Turner, Whistler, Monet. She made some notes, filed them and promptly forgot about them. A few years later they came to light in a notebook. Suddenly she found herself writing about Monet in London. 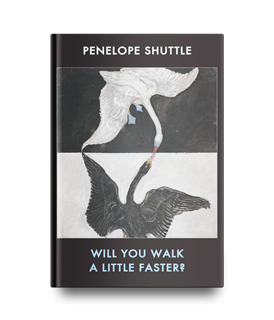 poems capturing a sense of the energy she felt at each different locale. 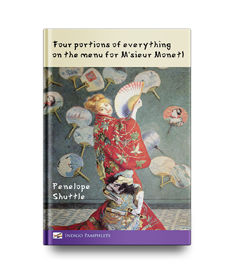 Four portions of everything on the menu for M’sieur Monet! 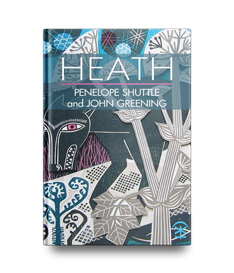 “It falls on to the open page through some kind magic"
that captivates in her poems. And what a phenomenal poet she is (she has recently celebrated her 70th birthday). 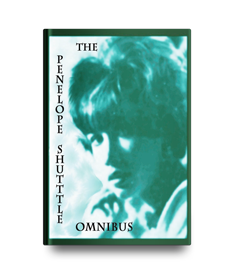 Click on the YouTube link below to find recordings of Penelope reading her poetry.